It feels mismatched with good reason – the builders of such porches are more interested in a one-size-fits-all approach than a customized home solution. 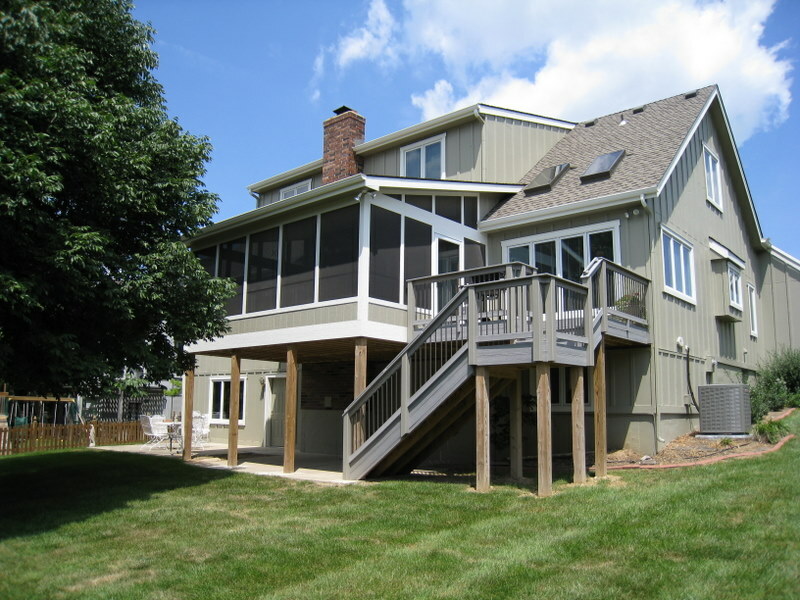 At Archadeck of Kansas City, our porches are designed to match your home from the roofline to the scale, siding, gutter lines, and other key details. By working with a builder who’s concerned with matching your new porch’s look with your home, you’ll have a new space that looks like it was there all along. Taking this approach usually requires more labor, trim, and materials – and hence, somewhat higher costs – but you get a room that’s a natural extension of your home. 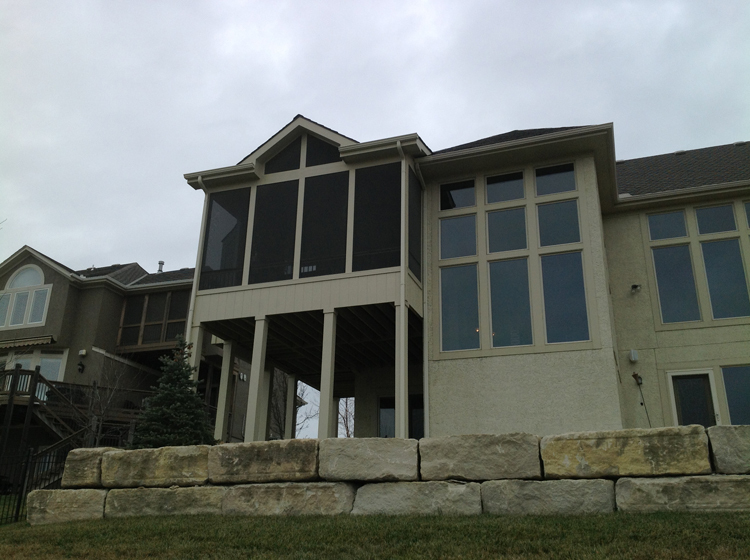 Creating a custom porch for your home is not just about style, but also substance. The materials should not only be cosmetically matched to your home, but they should also be strong enough to stand up to weather and to the test of time. Posts, trim, and fascia should protect your porch from the elements. These considerations can maximize the life span of your porch. Archadeck of Kansas City doesn’t strive to be the cheapest option in porch building. Instead, we strive to create structures with both the style and the substance worthy of your home. 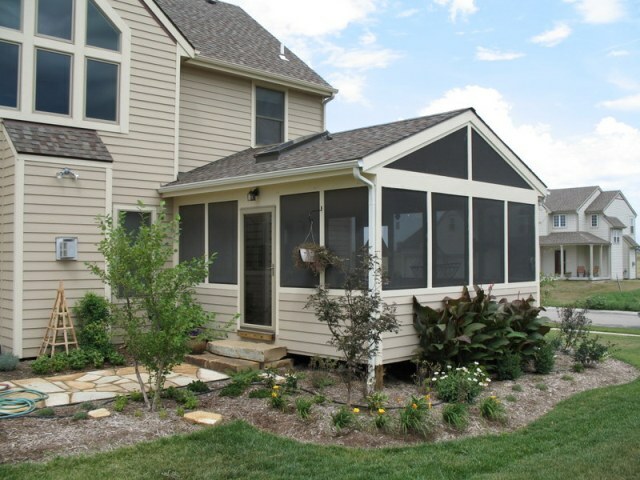 If you’re considering the addition of a deck, porch, patio or other outdoor living structure – to your Kansas City area home, give us a call at (913) 851-3325 for a free consultation or email us at kansascity@archadeck.net. We look forward to your call. This entry was posted in Outdoor fireplace on August 13, 2013 by archadeckkansascity.